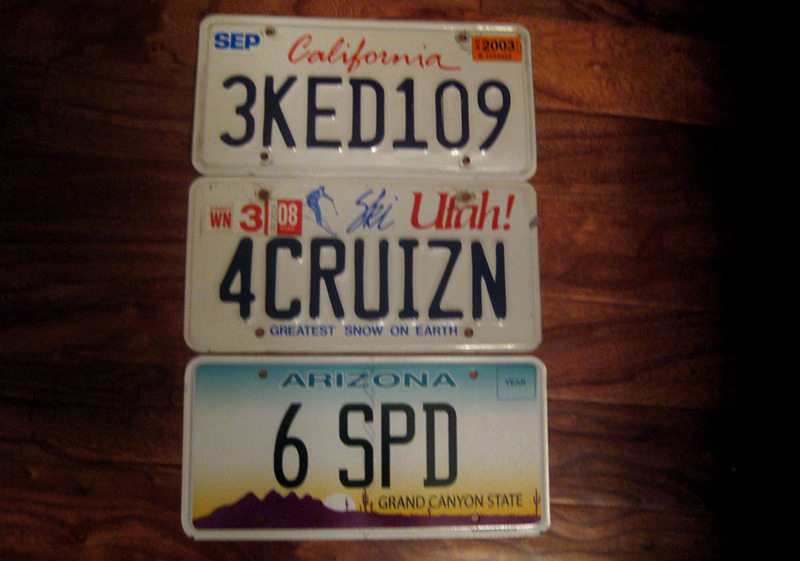 These are all the plates my Legend has worn in its lifetime. 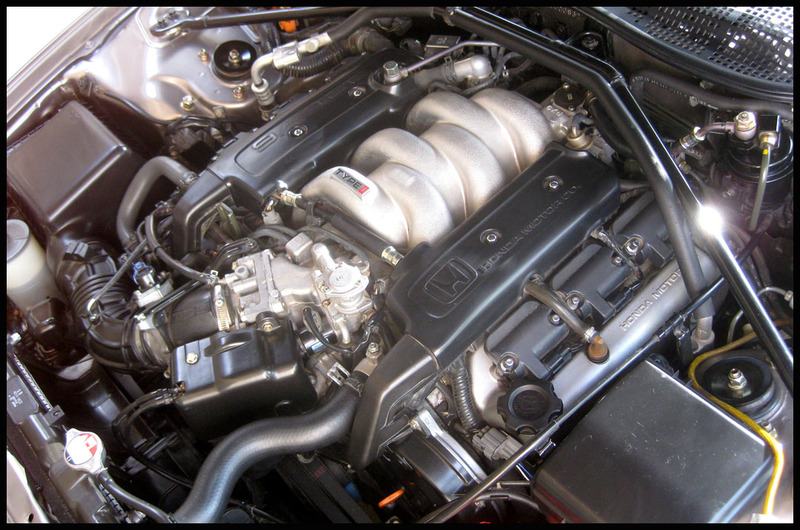 I spent a little time this morning getting the 3.2L V6 “Type II” powerplant cleaned up. Then headed out to Stanfield, Arizona to check out the location of a new job that a friend of mine will be taking. Stanfield is a teeny little town with not much more than a thrift store, post office, and this tire shop. You’ve probably heard of Big-O. 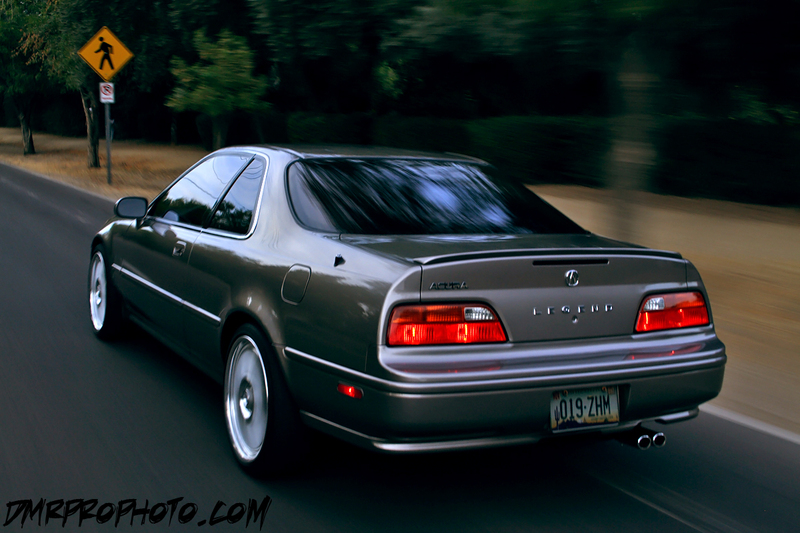 Well, we today we found Little O.
I thought I’d share a few of the most memorable “rolling shots” that have been captured of my Acura thanks to some friends who know a thing or two about shooting a moving target with a camera. November 2007 with about 302,000 on the odometer in Phoenix, Arizona – photo credit to Dax Rodriguez. 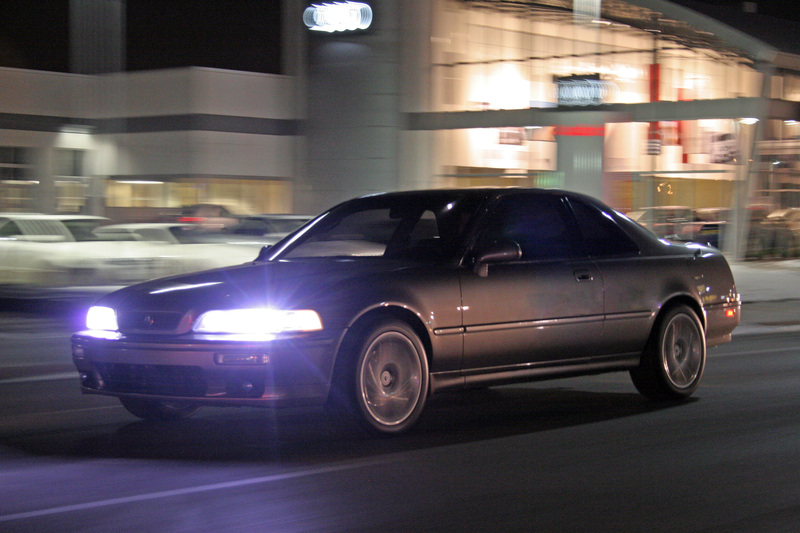 The Legend was rolling on the 19″ Racing Hart C2 3-piece wheels. 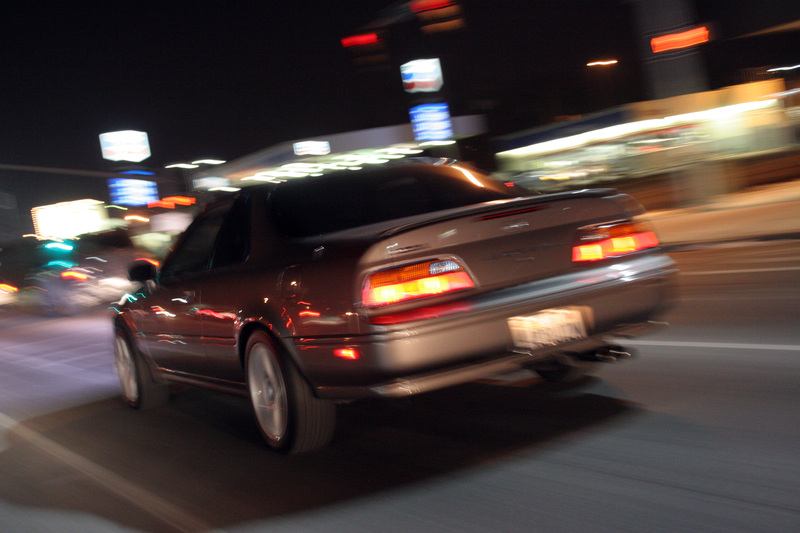 December 2005 with 200,300 on the odometer on a very cold night in Salt Lake City, Utah – photo credit to Tyler Green. 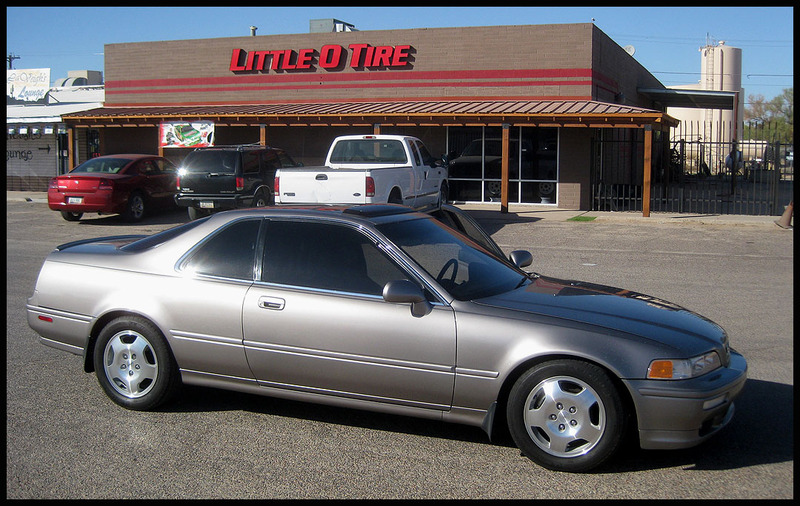 The Legend was rolling on 17″ 2004 Acura TL wheels. It also had McCulloch 8000K HID headlights bulbs and European Domestic Market (EDM) clear corner lenses. Hope everyone is having a great weekend! The Legend lives on and continues to creep closer to the big 5. This entry was posted on October 30, 2011 at 1:01 am and is filed under Legend. You can follow any responses to this entry through the RSS 2.0 feed. You can leave a response, or trackback from your own site. Me neither, my friend. Me neither! Mine too. It was already spoken for (and various versions of it too) when I needed to register the car in AZ. Sad because that old plate pretty much described the whole purpose of this car for me. Haha.